We just returned from the AOS Members Meetings in Wilmington, Delaware and for us Floridians, it was refreshing to see autumn colors and feel some cool air. A frost was expected for the night we were leaving. 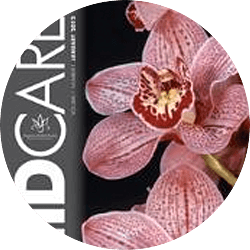 Like spring, fall is an important transitional season and orchid growers should be making preparations for the coming winter. 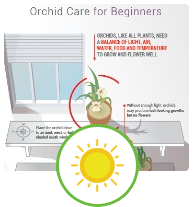 As days get shorter and cooler, orchid growth will slow and in some cases, cease altogether. Unless a plant is in a crisis situation, put off any repotting until the lengthening days of spring. 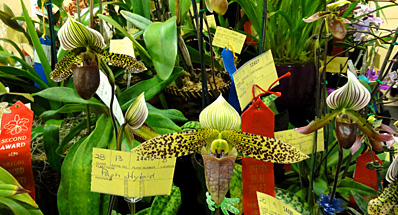 For many orchids, it is this change of seasonal conditions that begins flower initiation. 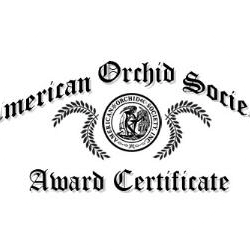 As we move into November, be on the lookout for developing inflorescences on Phalaenopsis, Cymbidium and certain hybrids and species in other genera, and begin staking when spikes reach 6-8 inches. 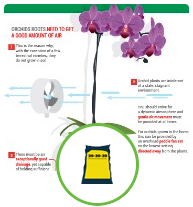 If you have been summering some or all of your orchids outside, now is a good time to get your indoor growing area cleaned up and ready to welcome the returning orchids. 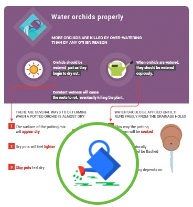 Whether it is windowsill carts, a basement light setup or greenhouse, use diluted chlorine bleach (1:10) or Physan to clean off any accumulated algae. It is easier to make repairs when there are no plants, so make sure that your growing area is in top condition for the trying conditions of winter. Make sure that heaters are working and that you have plenty of fuel. If you use backup devices or alarms, test them too. Be sure to check plants thoroughly for pests before returning them to the close quarters of your indoor growing area or greenhouse. 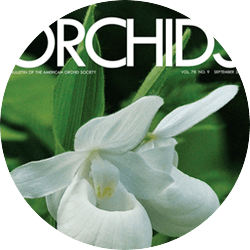 For more detailed seasonal culture information on specific genera see Tom Mirenda's excellent monthly "Orchid Checklist" in Orchids magazine. Although it blooms reliably for us at Christmas, Cattleya percivaliana can bloom anytime from October into January. It blooms at the early end of that range in its habitat in the Venezuelan Andes. 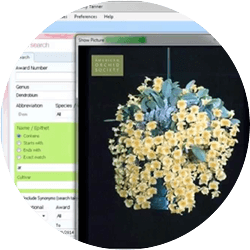 Shown here is the albescent color form, 'Sonia de Urbano'.